Role Dilemmas – Who Will You Take to the Dance? Choosing someone for anything can always be a challenge. Picking people to be on your team for sports, inviting people to your birthday party or considering who you might want to marry, all of these create an evaluation of the value you feel they bring. Noam Wasserman explores this topic in his book The Founders Dilemmas, Anticipating And Avoiding The Pitfalls That Can Sink A Startup.” People selected to join your business at the start may not be the same people needed in the future as the business matures and changes. The value of a generalist can be useful in the beginning, but more specialized knowledge and skills can be key as the business gets more focused (Wasserman, 2012). If we take the example of going to a dance, which seems simple enough on the surface. Often it would be assumed that if you are going to a dance you would pick the person you are in a relationship with at the time. Second choice would be someone you might like to try and build a relationship. However, introduce the complexity that you are dancing for competition and you may need to seek someone with stronger and compatible dancing skills. Businesses can be very similar. When you first start your business, the tendency will be to seek people that are known to you and comfortable. However, the choices need to reflect the needs of your company. 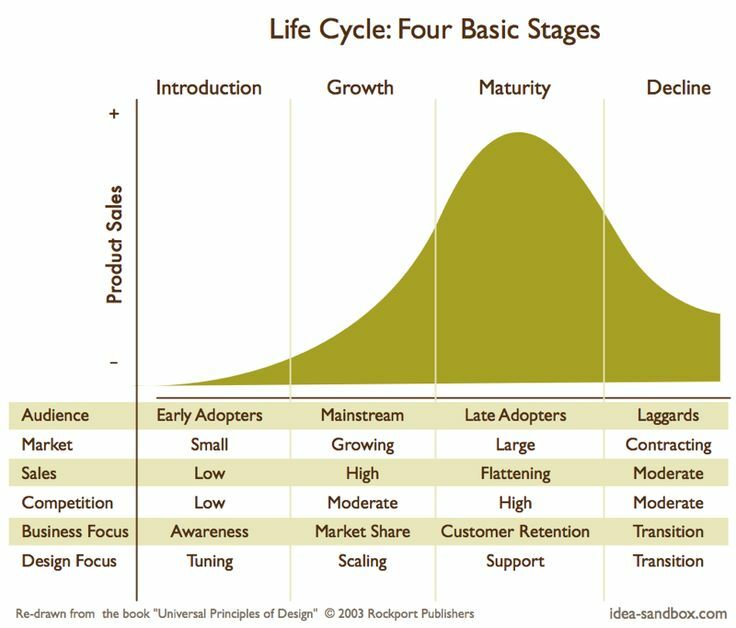 Businesses typically go through stages. A diagram Life Cycle: Four Basic Stages is included in this blog to represent the changes a business typically goes through (Lidwell, 2003). As companies go through these stages, they often need to reconsider their leadership. A leader that specializes in entrepreneurship may not be suited to help a company that is working through maturity. However, they may be a great fit for a company that has begun declining as the skills to create something new could be beneficial. Unfortunately, we have all heard of people going to a dance with one person and leaving with another. While we may not like the idea, we must accept that there were reasons why the situation occurred. The same is in business. The partnership that began a company may not always be the right one. Entrepreneurs need to understand the needs of their company and evaluate those needs against the skills of existing leadership and staff. Hiring initially based more on character and personality is more likely to be a benefit. More specialized people will add value as the business becomes more focused (Herrenkohl, 2010). In a specialized business this may not be completely true since your startup requires specific skills from the beginning. In the end entrepreneurs need to be honest about the needs of the company and themselves. Hiring people that can help cover the different aspects of the business will make it more flexible and manageable. When the business really starts rolling the specific needs will become more apparent and hiring can adjust. The hard part is when a person in your company is unable to provide the appropriate value. This is a tough discussion, but like going to a dance, you want to be with someone that makes sense. Herrenkohl Eric. (2010). How to Hire A-Players: Finding the Top People for Your Team – Even if You Don’t Have a Recruiting Department. Wiley. ← Is Too Much of The Same A Bad Thing When Building A Team?